Diabetes is an inherited disease that leads to various health problems, if not treated properly. If you have any family record of diabetes, there are many chances for you to get diabetes. If you think you might have diabetes, check out these signs. Increased fatigue: Because of inefficiency of your body cells to metabolize glucose, you can experience fatigue. If you are experiencing increased fatigue very frequently, you should go for diabetes check up. Losing weight without weight loss efforts: This is one of the most noticeable signs of type1 diabetes. But, remember, losing weight without any weight loss efforts is a warning sign of many chronic illnesses. So, don’t ignore it. Tingling sensation in hands and legs: It gradually occurs when high glucose levels in blood damages nervous system. You can possibly experience numbness in your hands, feet or legs. Frequent urination: Frequent urge to urinate is a major concern for most of diabetic patients. So, this could be very visible sign of early diabetes. Apart from these blurred vision, itchy or dry skin, frequent infections, delayed wound healing, unquenchable thirst are most common signs that warn you diabetes. Whenever you notice these particular signs, immediately get necessary medical attention in early stages and avoid various health risks associated with it. Next articleHow To Take Care When You Have Actinic Keratosis? 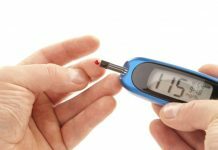 What are the Early Symptoms of Sugar Diabetes?